Emerson does not offer this advice indiscriminately. He warns that not all books are of equal import and no book is immutable. Even books we love and revere, such as those written by Shakespeare and Plato, do not completely present or ratify scenarios for better lives. Emerson thought it imperative that readers approach books warily and wisely. No book contains “pure thought” or fully captures a time or subject with “perfection.” So Emerson poses this caution: “Books are the best of things, well used; abused, among the worst.” Readers abuse books when they read them uncritically and blindly assimilate and regurgitate their contents. When this occurs “the book becomes noxious; the guide is a tyrant.” Undiscriminating readers become “bookworms” formed by and tethered to the book. 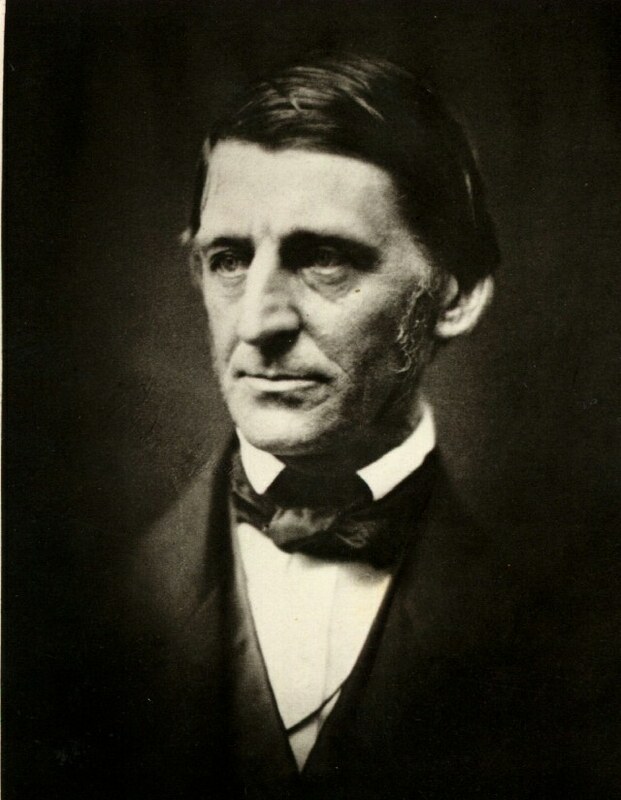 In a fitting cosmic image, Emerson disparages these kinds of readers and this restrictive use of books: “I had better never see a book than to be warped by its attraction clean out of my own orbit, and made a satellite instead of a system.” Readers who mindlessly accept a book’s tutelage never rise or grow; they remain followers, mere “thinkers” trapped by history and an author’s regimes. In “The American Scholar,” Emerson challenged his listeners to read inquisitively, skeptically, curiously, creatively, boldly, fearlessly, and to use a word we have seen often in this blog, deeply. “Books” he insists, “are for nothing but to inspire” and for them to inspire, “One must be an inventor to read well.” The creative reader becomes an elastic thinker, defines his own spirit, and evolves into his own person. “The American Scholar” formulates a theory of books that charges us to be creative, inspired readers because Emerson construed the book as an elemental force powerful enough to change minds, change lives, and change the world. What a wonderful essay Carl!! Visionary–in the tradition of Emerson and the other American Transcendentalists. Reading is a challenge, as Emerson suggests, a worthy challenge that takes us deep and far out! It’s refreshing to read a post that ties the CLTL program to Emerson’s strong faith in books as instruments of change — ties what we do to a venerable and American tradition. After all, we weren’t born whole out of Adam’s rib. Yes, Tam–and we’re still growing! What a relief to realize that someone else is concerned about the recent trend of herd mentality. Thanks Carl for the excellent prodding! Carl, what moves one is going to pass by another. A close understanding of what one reads calls for rereading, sometimes many times. A wise man told me that one should read The Brothers Karamazov once every year. I wonder what kind of person I would have become if I had taken his advice. This posting that calls on Emerson seems very timely. Many people in our culture are absorbed by the notion of “touching fame”, and, although that notion may feed the economy, it does not necessarily promote original thinking or any creation of real community. However, the radical act of reading and discussion holds the potential for the creation of original thought and for the manifesting of community through discussion and connections—to the self, to others, and to the natural world. Reading as an active mode of understanding the world is needed. I really liked the idea of how reading can promote “elastic thinking”; this kind of thinking is what we need and what our students need to navigate an increasingly complex world. Changing Lives through Literature stands as one conduit for meaning-making in a complex world. So many students favor images over text that it would be interesting to consider how a renaissance of reading would challenge this younger generation. At a minimum, the challenge would be not only to create new patterns of thinking but to do so using an underutilized, if not entirely new, medium. Thank you for these insights, Carl. In the spirit of Emersonian skepticism, I’d like to say that it’s important to read not only critically, but also sympathetically. I try to achieve a balance of critical inquiry and sympathetic identification in the CLTL classroom. This is what makes it different from the dog-eat-dog world of the academic classroom! Carl Schinasi does a fine job of distilling the essence of Ralph Waldo Emerson’s “The American Scholar,” and its relevance to the “Changing Lives Through Literature” program. The three criteria emerson Analyzed are still valid today. We could benefit from re-reading the last paragraph, especially the last sentence, periodically. Thanks for the reminder! Thanks for this wonderful content. I really enjoyed it a lot. This is really inspirational content. I would like to use your style to improve my own content on my website. From this summary and the quotes (“books are for nothing but to inspire”), it sounds like he would have agreed with the sentiment, even if he didn’t write it.